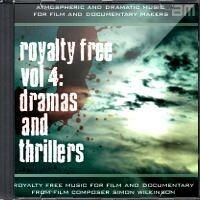 Volume 7 of my royalty free music contains 13 tracks (49:25 minutes) of dark and scary royalty free horror music. Full of unearthly creepy atmospheres, unsettling musical drones, horror music soundscapes, low rumbles and distorted frequencies. 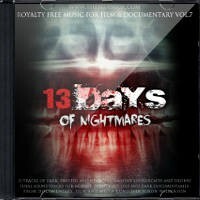 Themed into 13 imaginary days, you’ll hear dark background noises, metallic scrapes and grinds, dissonant waterphones and the eerie sounds of abandoned asylums, haunted corridors, exits slamming shut and the distant echoes of menacing voices. 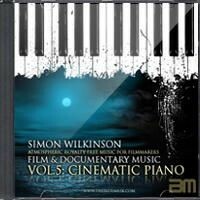 Ideal musical underscore to add a sense of menace and foreboding to your films and videos. My royalty free music collections are a one-time payment that lets you keep using the music in all your videos without needing to pay recurring license fees (or ‘royalties’) each time you want to release a new film or project using the music. Read more about licensing info here. 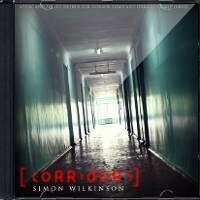 Inspired by the unsettling style of dark psychological horror films like The Shining, Session 9, Blair Witch Project, Hostel, Wolf Creek and The Texas Chainsaw Massacre, the music evokes the nightmare atmospheres of abandoned mental asylums, hospitals, orphanages and haunted buildings. 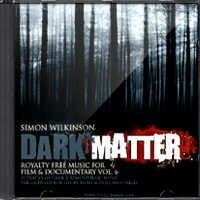 Also suitable as background music for documentaries with dark subject matter, e.g. conspiracies, the illuminati etc. Listen to full length previews of all the tracks in the music player above or watch the promo video below set to eerie footage of abandoned hospital wards, asylums and derelict buildings. 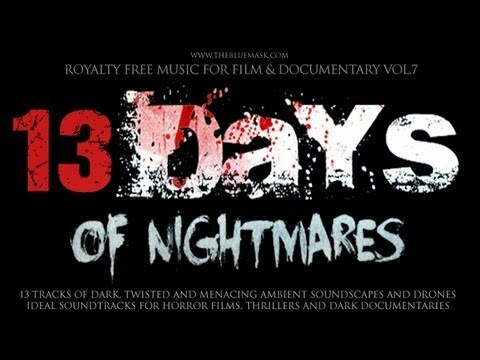 13 tracks of background underscore and dark atmospheric soundscapes suitable for horror films, Halloween videos, trailers, documentaries, crime features and sci-fi thrillers. 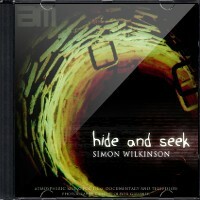 Lay these tracks under your horror films and feel them come to life with an eerie atmosphere of dread and unease. Watch the promo video on the right set to the terrifying haunting photography of abandoned hospitals and derelict buildings from urbex photographer Andre Govia. 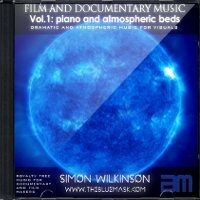 This album includes a royalty free license which allows the purchaser to use the music in an unlimited number of film & documentary productions. Whether it’s for worldwide TV broadcast, student or commercial feature films, video games, trailers, personal websites, YouTube (please let me know your YouTube Channel URL and I will whitelist your channel for use), Vimeo, Facebook etc. The royalty free license gives lifetime unlimited rights to use the music in all your videos and productions with nothing further to pay. Click here for full license details. 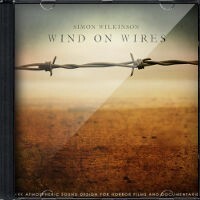 The album contains the 13 full tracks which will be automatically available to download after purchase. You can select from mp3 or wav from the dropdown option above and if you’re buying from a country outside of the UK, PayPal will automatically convert the amount from your currency to British Pounds so you can buy from anywhere in the world.